Grandma’s Old Fashioned One Pot Goulash is a classic comfort dish that is made in one single pot, so minimal cleanup required. I used my dutch oven to cook up this tender pasta, that is loaded with ground beef, tomatoes, in ooey-gooey cheese. 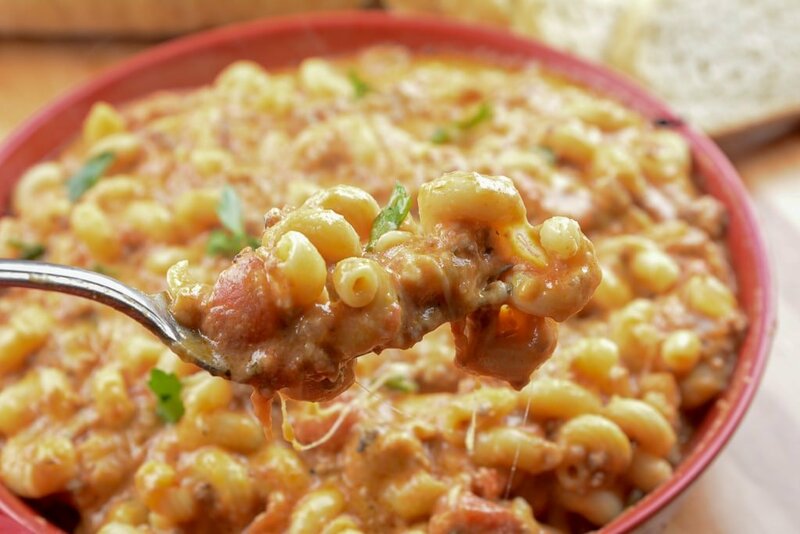 Grab a fork and dive into this old fashioned goulash recipe. This old fashioned goulash uses pantry staples so that you can probably rummage through your cupboards and find all the supplies or most. 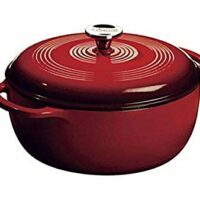 Then just turn on your dutch oven or a large pot and get to work at creating one outstanding dinner the whole family will love. Because it is loaded with cheese, even little ones gobble it right up. Whether you call it chop suey or American goulash, I think we all can agree this recipe is outstanding. Our family loves this, and I have been making it for years. A true tried and true recipe right here. Goulash is one dish that is served all over the world. Now, in each area, you will find goulash means something totally different. With ingredients used, methods of cooking, it all varies. In America, it is generally a handful of spices, chunky tomatoes as the base, ground beef, and of course pasta, generally elbow macaroni. 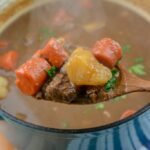 Stew is loaded with thick pieces of beef or ground beef, and paired with a variety of vegetables in a broth-based soup. 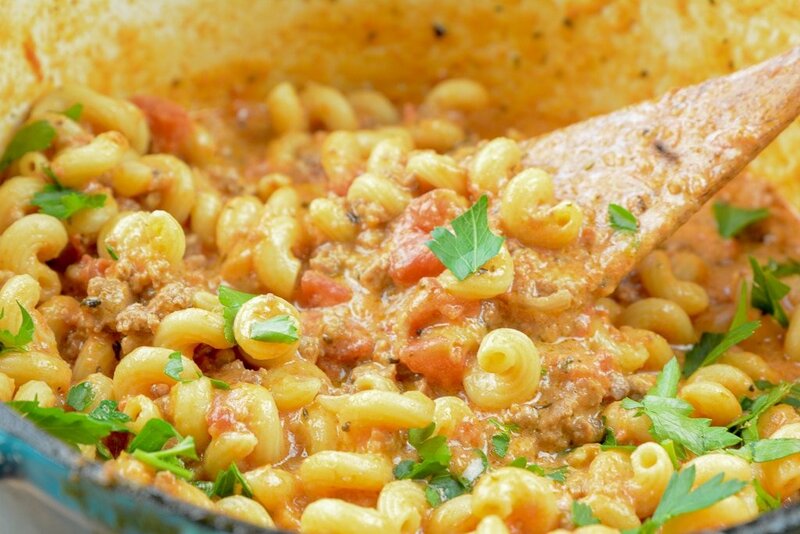 While Goulash is made with pasta, ground beef, and offers a creamy tomato base. The textures are totally different along with ingredients. But, many confuse the two because Hungarian goulash was very similar to a stew over an American goulash recipe. 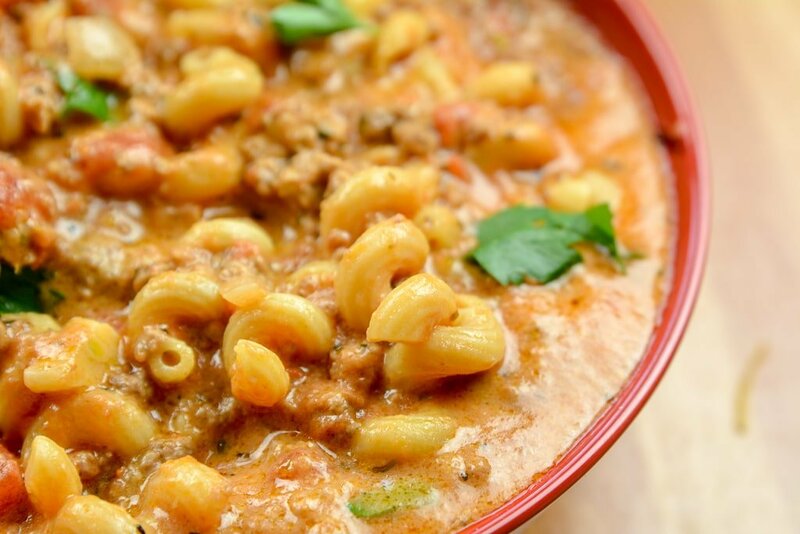 Yes, you can freeze American Goulash. Just allow your goulash to cool down a bit and transfer to a freezer bag or airtight container. Then toss in the freezer for up to three months. When you go to reheat just allow to thaw in the fridge and then just heat it up on the stove. 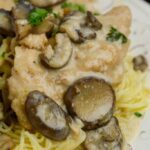 Scalloped Potatoes and Ham, Old Fashioned Dutch Oven Beef Stew, Or Even Chicken Marsala that’s done in your Instant pot. Since I shared you can indeed freeze your goulash, let me share a tip. I work from home so I am always looking for quick meals for myself to make or heat up. I take single serve containers and place my old fashioned goulash in it. Then toss in the freezer until I am ready to eat. Then when I know I will be wanting it, I simply place one of the containers in the fridge to thaw the night before. Then nuke in the microwave, or heat up on a pan on the stove. 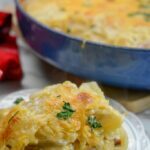 It works great for a quick weekday meal. You can also do this for taking your lunch to work as well! I used my dutch oven for this one-pot goulash because I wanted a nice sturdy pan for cooking. I find my dutch oven is the perfect tool for the job. I find that Dutch ovens offer a unique texture to food as it cooks, vs a regular pot. If you do not have a dutch oven you can indeed grab a large pot to make this one-pot goulash, with no problem at all! Give this recipe a try today, and let me know what you think. My husband and I really enjoyed it, and I made sure to stick some extra in the freezer for a treat down the line. 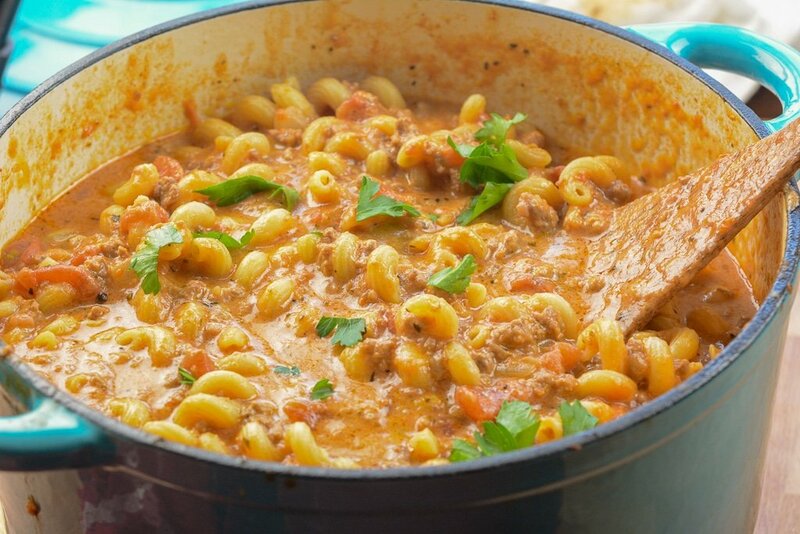 Do you love one-pot old fashioned goulash as much as we do? 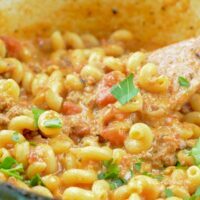 Grandma's Old Fashioned One Pot Goulash is a classic comfort dish that is made in one single pot, so minimal cleanup required.